World Faith Abuja continues the Abuja Tailor Training, a fashion design program, helping women to develop skills in fashion and bag designs. This is the fourth year that the women’s empowerment program, supported by World Faith Abuja and implemented by YOUPEDA (Youths for Peace Building & Development in Africa), has run and they have been working with this current cohort of six women since the beginning of 2018. Felicia Yusuf, one of the beneficiaries of the program, spoke with us about the program and affirmed that being able to create and sell her own textile and bag work has allowed her to better provide for her family, especially with paying for her children’s school fees. 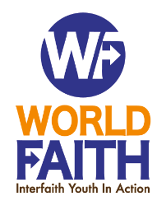 YOUPEDA and World Faith Abuja hope to continue to grow and expand the program in order to provide more employment opportunities for women, ultimately allowing them to be self-sufficient and less at risk for gender-based violence.